Sunday marks the 25th anniversary of the ARIA awards and I am extremely excited to be attending this year, not only due to the fact that the awards are such a great part of Australia's music history, but because this year is set to be massive! On Sunday, I will be dashing around the red carpet and backstage, on the hunt to interview some of Australia's top recording artists and industry insiders, including Delta Goodrem, Danni Minogue, Molly Meldrum, Missy Higgins and Kimbra; just for you guys! Even though chatting to these a-listers, will be amazing, my excitement is heightened due to fact that our biggest, little star Kylie Minogue, will be of attendance, as she will be inducted into the ARIA hall of fame. The fact that my childhood was saturated by Kylie's music, videos and concerts, due to my older cousins over-the-top infatuation with her, (I think he owns every bit of memorabilia), makes me not think of a better music magician than her to be honoured on the milestone birthday. In 1988, it was Kylie, dressed in a midnight blue suit jacket, with a floral embroidered collar, who accepted the 'highest selling single' award, thanks to her hit 'Locomotion.' In 2002 the world wide superstar bagged four awards, dressed in a low back, white, Crystal-embellished gown, which boasted an asymmetrical front, as well as being presented with the 'Aria Special Achievement' Award, by Molly Meldrum. 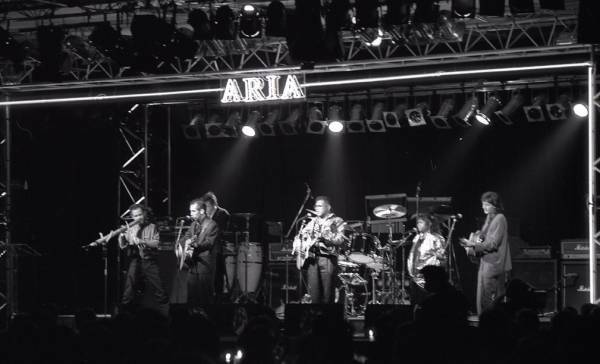 In order to be inducted into the ARIA hall of fame, the artist needs to meet the criteria of having, 'a cultural impact within Australia and/or recognition within the world marketplace.' I have had a couple of meetings with ARIA C.E.O Dan Rosen and it is assured that the 25th ARIA anniversary will go down with a bang! They will be on GO on Sunday night from 7:30pm, so tune in. Wow how exciting! Can't believe you get to interview stars and go backstage. Good luck!